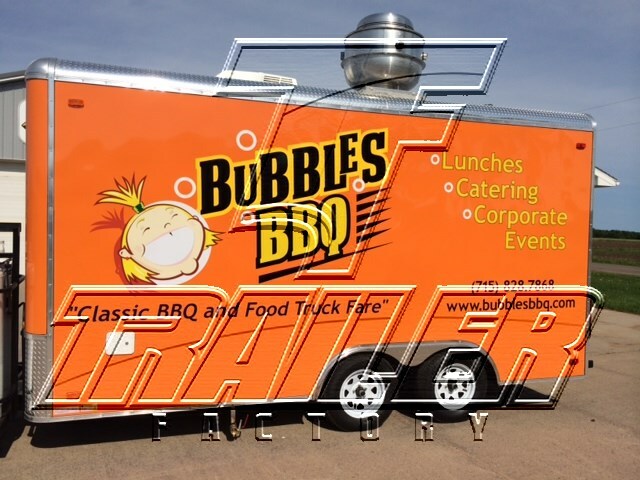 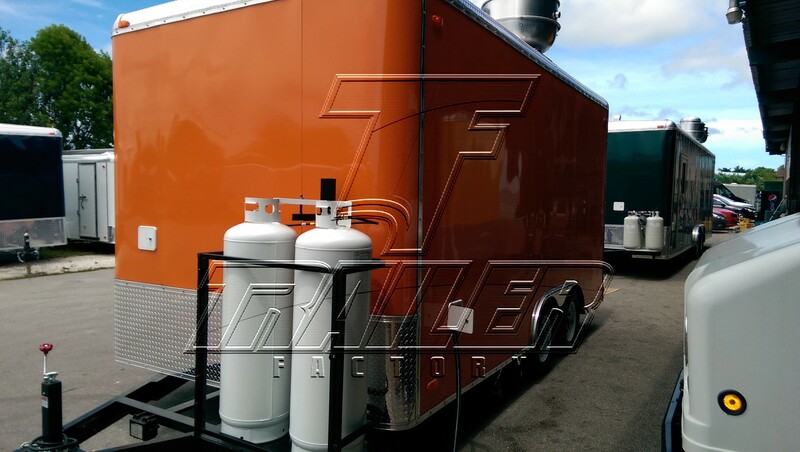 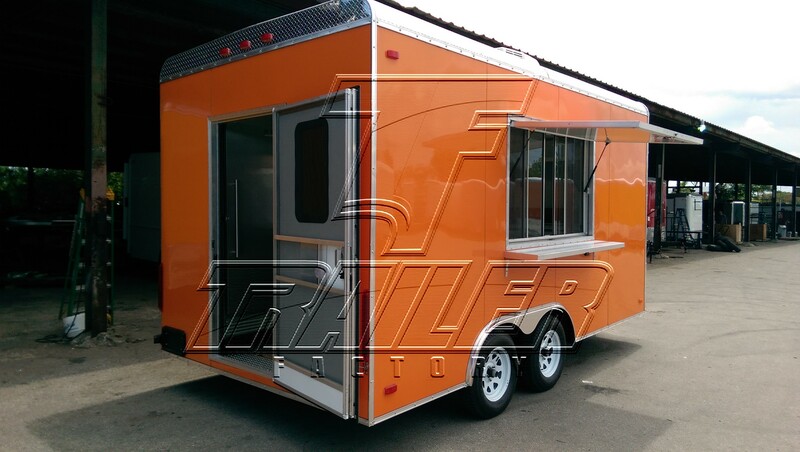 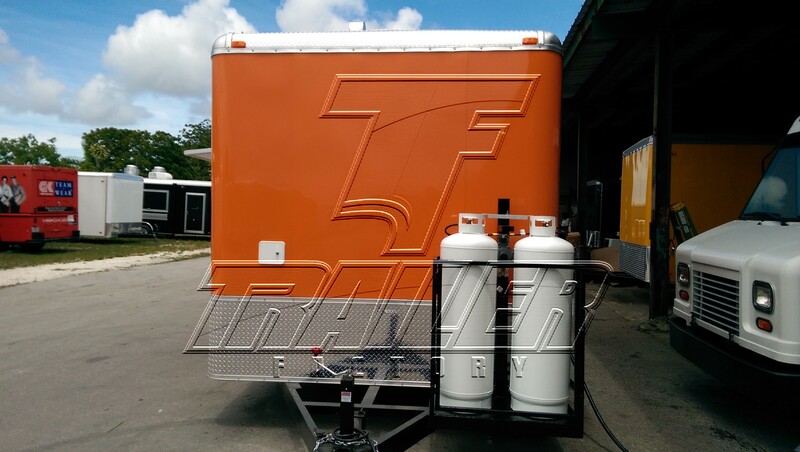 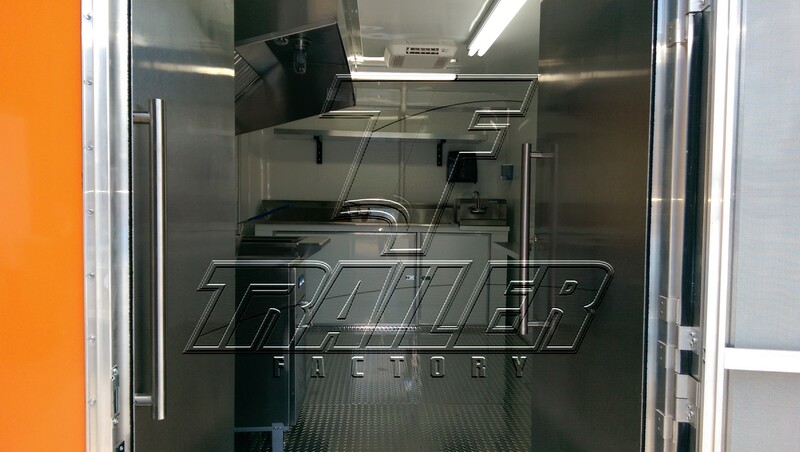 Our custom 16ft concession trailers are made to your companies specifications so you can take your brand to the next level. 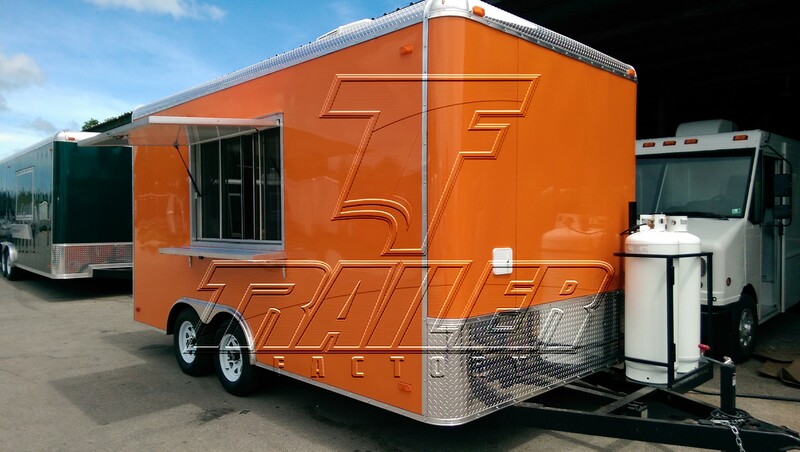 Stand out with a trailer that represents your business and attracts customers. 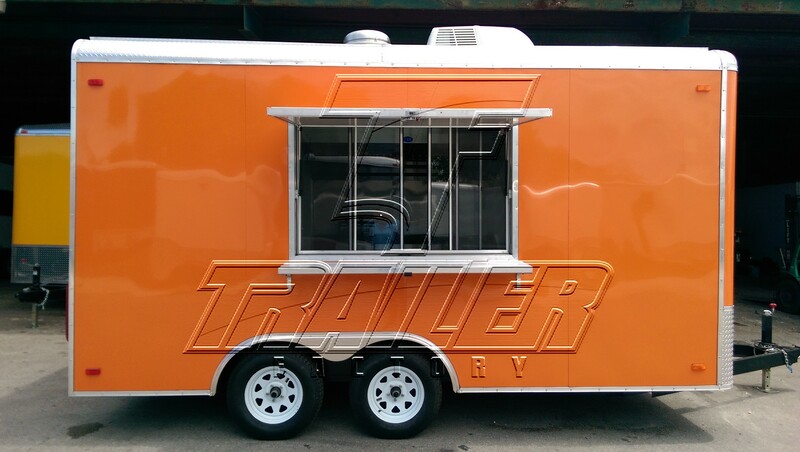 Exterior LED lighting is included, along with stainless steel equipment, electrical, propane and water systems to power your concession business on-the-go. 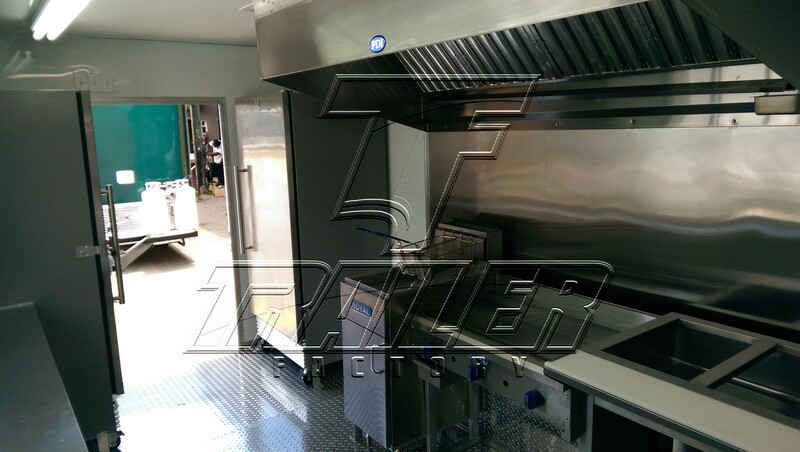 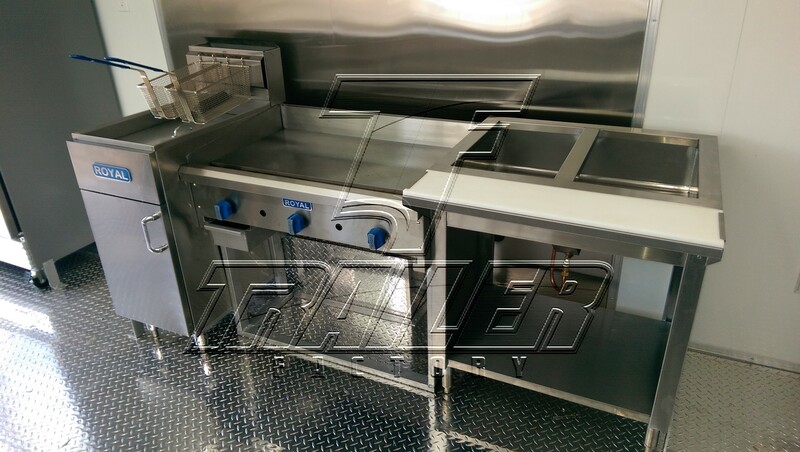 Package B (8.6ft x 16ft) offers over 7ft of interior height, 2-50lb deep fryers, a 36″ grill, an 8′ exhaust hood and more. 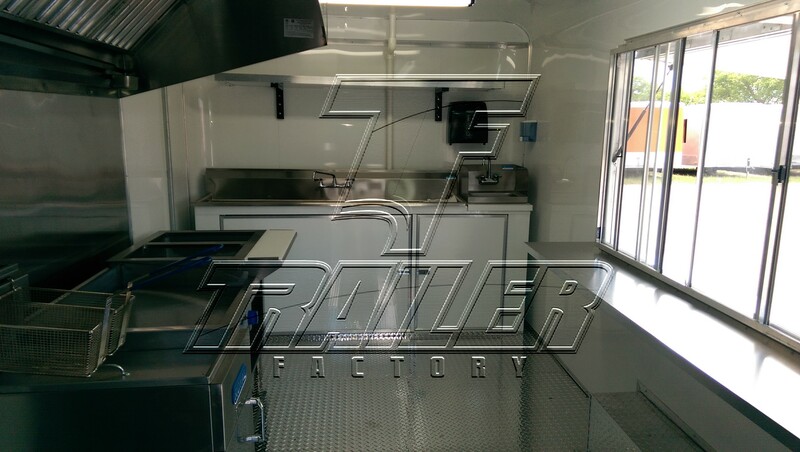 Please see the full list of features and specs below.